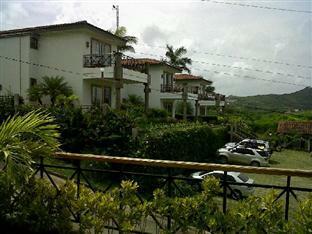 ﻿ Best Price on Bahia Del Sol Villas & Condominiums in San Juan Del Sur + Reviews! Just 15 minutes’ walk from the beach, Bahia Del Sol features 2 outdoor swimming pools and elegant accommodations with ocean views. The center of town is about 15 minutes’ walk away. Free WiFi access is available. All holiday homes at Bahia Del Sol Villas & Condominiums have 2 terraces offering spectacular views of the ocean. Each individually-styled house features Nicaraguan decorative details. The holiday homes are cleaned daily. Laundry and kitchen cleaning is available on request. All houses include a washer and dryer which may be used at an extra cost. The bilingual staff are happy to provide information on beaches, sites and attractions in the surrounding area, as well as restaurants and guided tours. Guests can also book canopy tours and outdoor activities here, such as sailing, fishing and horseriding. Please note this property does not have an electric generator.